GOOD CHINESE WIFE now on GoodReads! 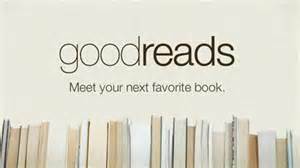 Last week I was adding another book to my “read” list on GoodReads.com and for the fun of it typed in the name of my upcoming memoir, GOOD CHINESE WIFE. Of course I immediately clicked on “to read” as well as the Facebook like button. A few fabulous friends followed suit. If you are on GoodReads and are interested in reading GOOD CHINESE WIFE, I would love it if you could also click “to read“. It’s also available for pre-ordering on Amazon here! Good idea. I put it on my to read shelf. Thanks so much, Sveta! I saw Aurora in my Good Reads feed!